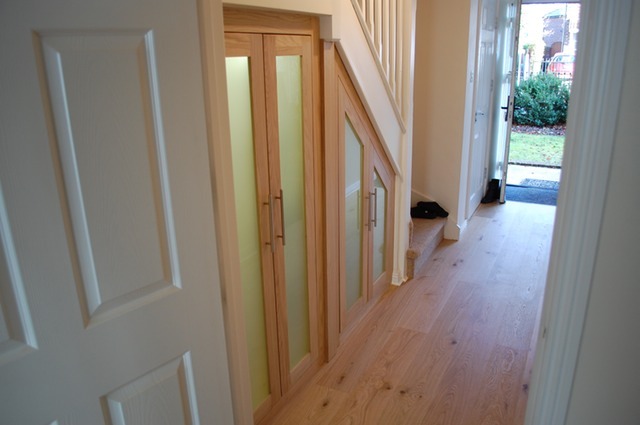 This set of understairs cupboards are made from American White Oak, With etched glass panels and nickel handles. The cupboard in illuminated inside to provide accent lighting in the hallway. Internaly, there are bespoke storage cubes to accomodate 12" Records.